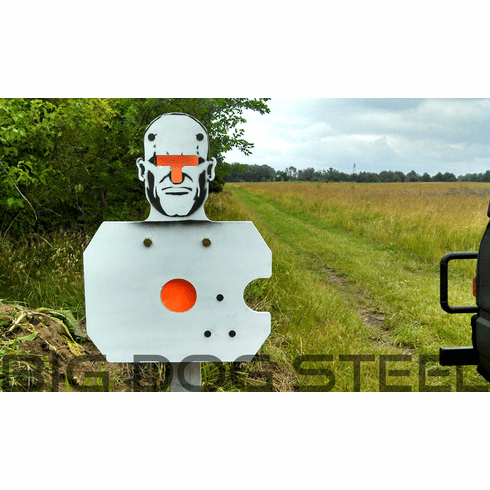 Big Dog Steel is Proud to finally unveil our new precision rifle target. We've spent a great deal of time developing and testing our prototype Precision Rifle Target to make absolutely sure it works perfectly and will take the abuse you have planned for it. The "T" zone on the precision rifle target features a flapper that flips over the top of the head and flashes waiting for you to shoot it back down. The heart flapper flips side to side and is controlled by a heavy duty spring so it will not rebound with 308 class rifles. 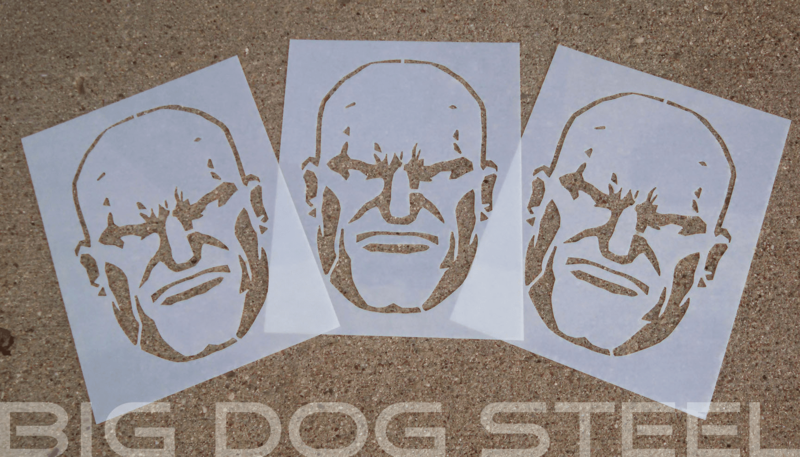 All flappers are waterjet cut from premium 1/2" thick AR500. The hinges are all waterjet cut 3/8" thick premium AR500. Hinge bolts are 5/8" diameter grade 8 bolts. Everything bolts into place so there is absolutely no temper damaging heat affected zone from welding or cutting. Should you ever damage anything on the target, we can simply replace that small part. With a target that has everything welded to it, should anything need replaced you have to replace the whole target, this isn't the case with ours. The "T" zone is precisely placed in the head to reflect the actual dimensions of the average head. The heart flapper is also precisely placed to reflect the correct placement in the human torso. This will aid greatly in training and should be much more effective than shooting another IPSC shaped target. The up and down movement of the head flapper as well as the side to side movement of the chest flapper should also help train you to acquire the new aiming point on the target. You cannot just simply shoot a group on the steel. Realistic precision accuracy on a real world target is what this target is all about.